Ahead of the international friendly match against the Super Falcons of Nigeria in Paris on the 6th of April, The French women’s national team coach Corinne Diacre has invited a strong squad of 23 players for the match. The list published on the French Football Federation website on Wednesday includes includes notable Les Bleues (The Blues) Women’s stars like Eugenie Le Sommer, Julie Debever, Wendie Renard and current Captain Amandine Henry. 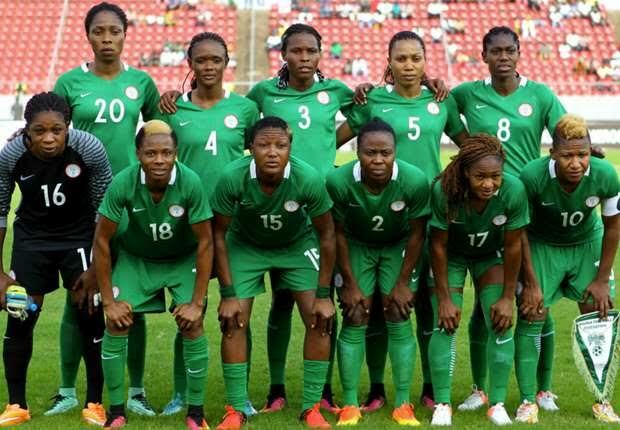 France will report to camp on Monday April 2nd , while Nigeria’s Super Falcons are expected to report to camp in Paris on Tuesday April 3rd ahead of the friendly. France who are currently fifth in the latest FIFA ranking will face Nigeria at the Le Mans Arena in Paris on Friday, 6th April before heading to Rennes for another friendly game against Canada on Monday, 9th April. The French team will be using the friendly match to prepare for the 2019 FIFA Women’s World Cup, which they will be hosting while the Super Falcons will use the friendly as preparation for upcoming qualification matches for the 2018 African Women’s Nations Cup and the 2019 FIFA Women’s World Cup. The Super Falcons Head coach is Thomas Dennerby and team Captain is Evelyn Nwabuoku, she currently plays for En Avant de Guingamp in the French Division 1 Féminine. Time for the friendly match is 8.00pm Nigerian time. ← Nigeria Vs Serbia Player Rating: How Did The Super Eagles Players Perform? Which TV Stations Will Transmit Poland Vs Nigeria Match? March 22, 2018 Obodo Charles Comments Off on Which TV Stations Will Transmit Poland Vs Nigeria Match?